This issue was delayed for a many reasons, including a computer virus and a faulty browser. We appreciate your patience and hope you enjoy this issue! 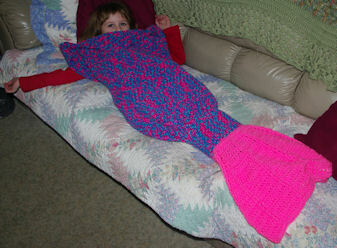 One of our Member Patterns is Julee's Mermaid Tail. This pattern is very lengthy and I will be testing it again soon. If you decide to make it I would love feedback with or without photos. I'm confused about the instructions on this weeks heart book mark. I'm embarrassed to say I'm confused. After saying you can add fringe. R2: Ch1, Do not turn. 2sc in the back loop only of ea st.
Where is the ch 4? are you going across the short end? Where do you start the long side? Please don't be embarrassed... and Thank You so much for telling me. I use a previous pattern as a template when I type a new pattern. I thought I had that one finished... I didn't. 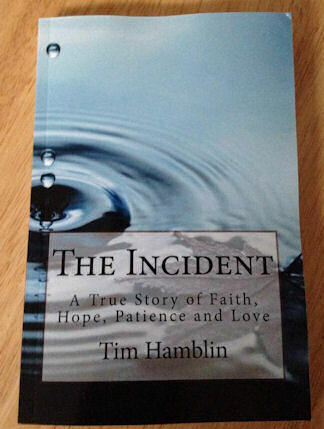 Please print a new copy and let me know how it works for you. "God proved His love on the Cross. “You have so many capabilities and potential. Start celebrating the life God has given you." May Thy lovingkindnesses also come to me, O Lord, Thy salvation according to Thy word; so I shall have an answer for him who reproaches me, for I trust in Thy word. And do not take the word of truth utterly out of my mouth, for I wait for Thine ordinances. So I will keep Thy law continually, forever and ever. And I will walk at liberty, for I seek Thy precepts. I will also speak of Thy testimonies before kings, and not be ashamed. And I shall delight in Thy commandments, which I love. And I shall lift up my hands to Thy commandments, which I love; and I will meditate on Thy statutes. My son, do not forget my teaching, but let your heart keep my commandments; for length of days and years of life, and peace they will add to you. Do not let kindness and truth leave you; bind them around your neck, write them on the tablet of your heart. So you will find favor and good repute in the sight of God and man. Trust in the Lord with all your heart, and do not lean on your own understanding. In all your ways acknowledge Him, and He will make your paths straight. Jesus said to her, "I am the resurrection and the life; he who believes in Me shall live even if he dies, and everyone who lives and believes in Me shall never die. Do you believe this? In Him we have redemption through His blood, the forgiveness of our trespasses, according to the riches of His grace, which He lavished upon us. In all wisdom and insight He made known to us the mystery of His will, according to His kind intention which He purposed in Him with a view to an administration suitable to the fulness of the times, that is, the summing up of all things in Christ, things in the heavens and things upon the earth. In Him also we have obtained an inheritance, having been predestined according to His purpose who works all things after the counsel of His will, to the end that we who were the first to hope in Christ should be to the praise of His glory. TO SALVATION TO ALL WHO WILL BELIEVE." 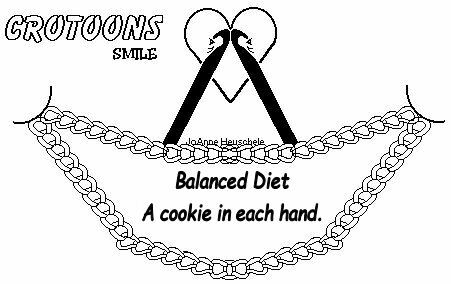 Each chain has a top loop, a bottom loop and a "hump" on the back of the chain. The hump of the chain is also known as the "back ridge". I stumbled on this idea myself and have never read anyone suggesting this tip so I thought I would share it with you and your newsletter readers. 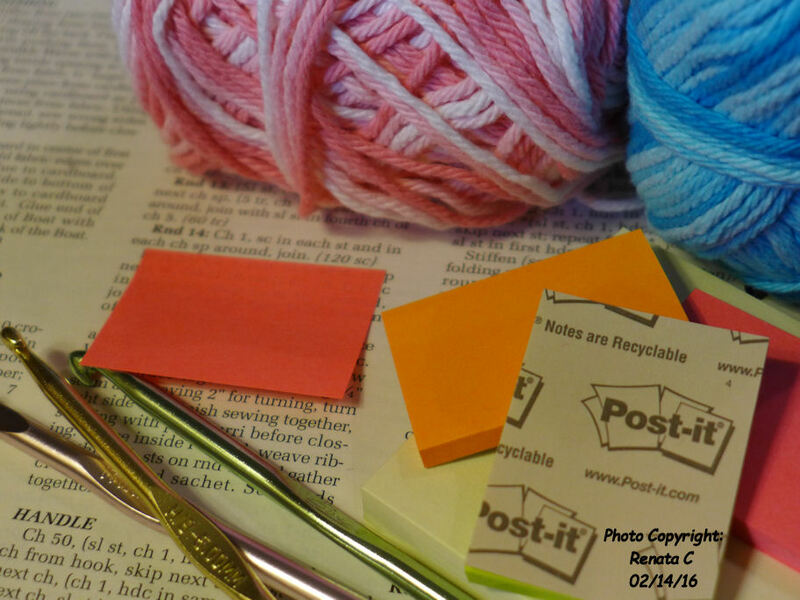 I love to crochet and watch TV, but it can be hard to keep track of which row you are on in your pattern. I use post-it notes to put under the current row or set of instructions, and it works amazingly. I have sent you a photo. Hope it helps others. Actually, I use it all the time, even when not watching TV. A “pattern” is a part of the overall design. Many patterns will actually specify a section of instructions as the “pattern”. Just out of curiosity... is this the pattern to which you are referring? If so, a “pattern” in this case is one set of instructions that form a ripple. in the sweater to allow for the opening for the sleeve. 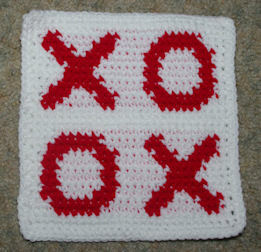 I was just wondering if you might know how to do increases in a pattern using the crosshatch stitch? I'm winging it and it's not working. then keep working in pattern until you get the length you want. 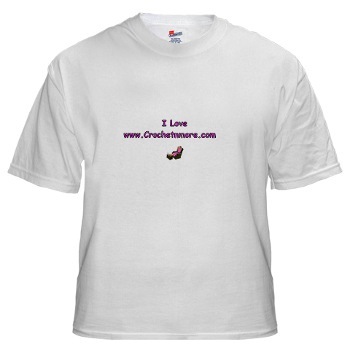 without disrupting the overall design. 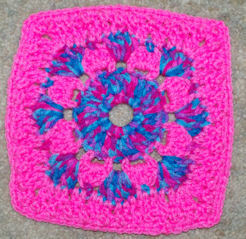 I wish to make crochet items for sale and I want soft, quality yarn. Can anyone give me any recommendations? Thanks a lot. Very familiar with brand. When u end a row on graph, do u chain 1 & turn, or just turn without chain 1? Please reply by e-mail, I am anxious to start this pattern. I am left-handed; so I guess I should read graph from left to right? Each new row begins by chaining 1. Read Row 1 from Left to Right. Read Row 2 from Right to Left. Continue reading all ODD rows from Left to Right and all EVEN rows from Right to Left . The pattern says “turn 90 degrees to work along next side” What does this mean? Think of a square or rectangular pattern with four corners. Each corner is a 90 degree angle. each time you encounter a corner. Ms Lisa I love it newsletter, not for just the patterns, but for the fact you have scripture in them. I love your patterns. Using the row count coaster patterns to make gift totes for my team members at church. Would like to do the dove. Wondering if you have pattern for it same size as the coaster patterns. I'm sorry but I do not have a pattern for a dove in the coaster size like the afghan square. I will add that to my list of future design ideas. Hi. I just started the Bead Stitch Hotpad. Loving the stitch. 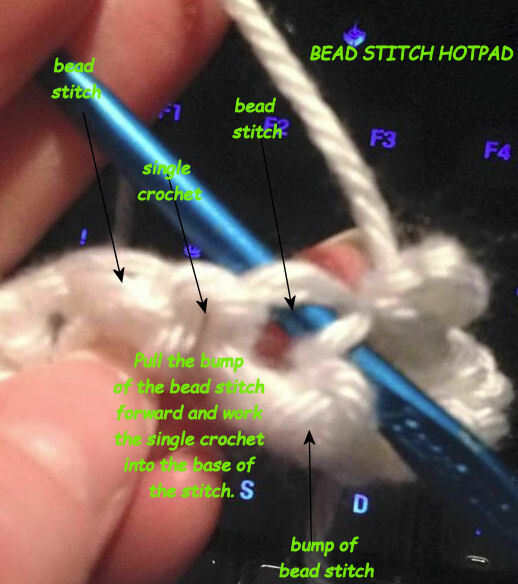 I'm running into problems, probably because I'm new to crochet. When I do the third row it all messes up. Would it totally mess up the pattern if I added a row of SC between rows with the bead stitches? 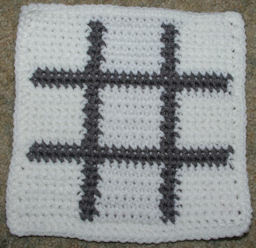 The bead stitches align in this pattern to form the texture for the hotpad. which would make the hotpad look more like a dishcloth. See if the attached photo helps with placement. I'm so confused on where I've gone wrong. I can't tell from the photo if your stitches are correct... the overall shape appears to be the correct. Here are a few comments about the pattern that might help. 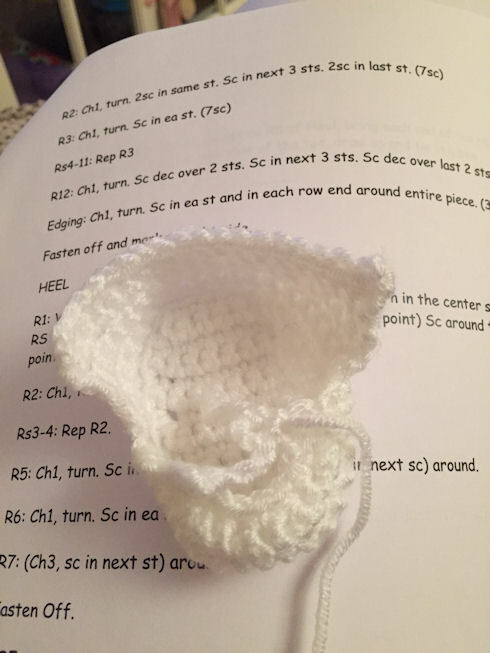 The Heel is worked in short rows... you begin Row 1 with the right side of the bootie facing you and work into the back loops only. Reattach the yarn in the center stitch on the right side of the sole... this is 7 stitches back from the point where you fastened off. Then you work a single crochet in each stitch around the the same point on the opposite side which should be 19 single crochet stitches. The next rows are worked over those 19 stitches. For R5 on the Toe you make 4 chains, then turn and slip stitch in the same stitch. (this makes a little loop). Now chain 3 and slip stitch in the other end of the same round (on the opposite side of the bootie). That forms a little hole on the top of the toe. Now chain 4 and slip stitch in the same stitch. (this makes another little loop on that side). I knew all the terminology of the game, but what's a rider?" actually get in the golf cart and ride to it." and, therefore, had their shoes and socks off. cold, even though the air temperature was very warm. arrived dripping wet. Kathy asked what happened. Michael said he fell in the water. Mark said he was pushed in. four more times it wasn't cold at all!" A feisty 70-year-old woman had to call a furnace repairman. and handed her a $70 bill for labor. "Labor charges!" she exclaimed. "It took you five minutes." hour charge on every house call. the next 55 minutes in her yard bagging leaves. Once there was a little boy who lived in the country. They had to use an outhouse, and the little boy hated it because it was hot in the summer, cold in the winter and stank all the time. The outhouse was sitting on the bank of a creek and the boy determined that one day he would push that outhouse into the creek. One day after a spring rain, the creek was swollen so the little boy decided today was the day to push the outhouse into the creek. So he got a large stick and started pushing. Finally, the outhouse toppled into the creek and floated away. That night his dad told him they were going to the woodshed after supper. Knowing that meant a spanking, the little boy asked why. The dad replied, "Someone pushed the outhouse into the creek today. It was you, wasn't it, son?" The boy answered yes. Then he thought a moment and said, "Dad, I read in school today that George Washington chopped down a cherry tree and didn't get into trouble because he told the truth." The dad replied, "Well, son, George Washington's father wasn't in that cherry tree." - “How on earth can you see the TV sitting so far back?" - "Yeah, I used to skip school a lot, too"
- "Let me smell that shirt Yeah, it's good for another week"
feed and walk him every day"
like I"m running a prison around here." - "I don't have a tissue with me. . . just use your sleeve"
through the glove compartment for the registration. wife handed me the paperwork. gruffly, "this is not your registration." his hopelessly overloaded bags into the overhead bin. I don't have this problem either." zoo's gift shop and told her to give half to her brother. said to their five-year-old, "Please pick up your toys, Maureen." Holly asked, "Why aren't you picking your things up?" house and I'm the dad, so I don't know where anything goes." the wedding of a family friend. "Mommy," he whispered, "why does the lady wear white?"